Food lovers, get your knives and forks at the ready! Student-run bistro, The Gallery at Northumberland College has become the fifth restaurant to sign up to participate in Northumberland Restaurant Week. Now in its second year, Northumberland Restaurant Week aims to celebrate the unique personality of Northumberland through its cuisine and showcase some of the fantastic fresh produce that can be sourced locally. To mark the event, catering manager at Northumberland College, Darren Lawton, has devised a special set menu, which will be prepared and served by students from the College’s Level 2 and Level 3 Catering and Hospitality courses to incorporate some of the region’s finest ingredients and flavours. “We’re delighted to be taking part in this year’s Northumberland Restaurant Week,” said Darren. “At The Gallery, we are always looking to expand the student’s culinary expertise by enabling them to try cooking in different styles. Mirroring the format of the hugely popular NE1 Newcastle Restaurant Week, Northumberland Restaurant Week was established in 2018 by the founders of Amble-based The Old Boat House Food Group, Martin and Ruth Charlton. Foodies from across the county can take advantage of outstanding offers at any one of the Group’s four restaurants, including Blyth Boathouse in Blyth and The Fish Shack in Amble, in addition to The Gallery restaurant at Northumberland College’s Ashington campus. “Having witnessed first-hand the positive impact that NE1 Newcastle Restaurant Week has on city centre eateries during the typically quiet month of January, we decided to launch a similar initiative for Northumberland to help celebrate some of the fantastic restaurants that we have on our doorstep,” said Martin Charlton, founder and co-owner of The Old Boat House Food Group. “We have worked closely with Northumberland College for a number of years so we are thrilled to have them on board for this year’s Northumberland Restaurant Week. “In our restaurants in Amble and Blyth, we only use the highest quality, locally sourced fresh ingredients and we value traditional methods of preparation. In some kitchens that might be considered ‘old school’ but it is what sets us apart from our competitors. 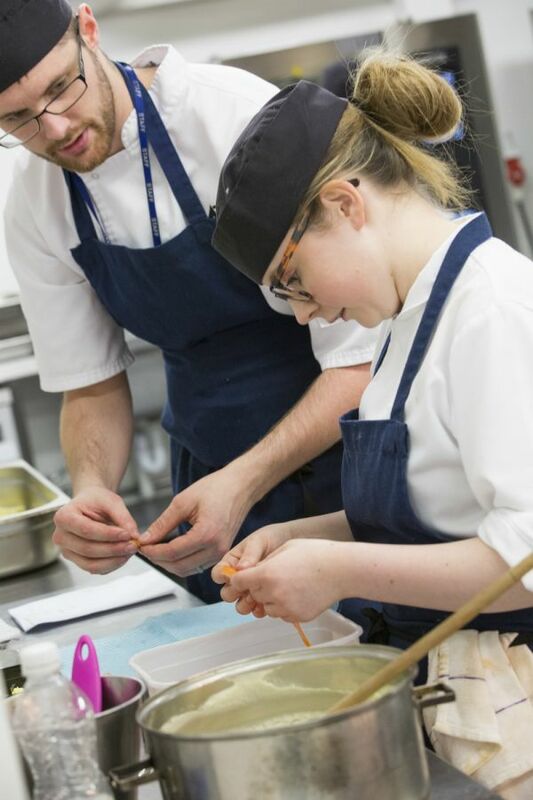 “The catering tutors at Northumberland College are well-practiced in these techniques which is why we send our staff and apprentices to train there. Northumberland Restaurant Week is taking place between 14-20 January 2019. The Gallery restaurant is open mid-week for lunchtime services between 12pm and 2pm with an additional evening service on Thursdays between 5pm and 9pm. Diners can choose from three different starters, four different main courses, including a vegetarian option and three delightful desserts priced at £7.50 for two courses or £9.50 for three courses. Booking is essential. Tables can be reserved online at: www.northumberland.ac.uk/about/facilities/restaurant/. For more information about Northumberland Restaurant Week, visit www.boathousefoodgroup.co.uk.